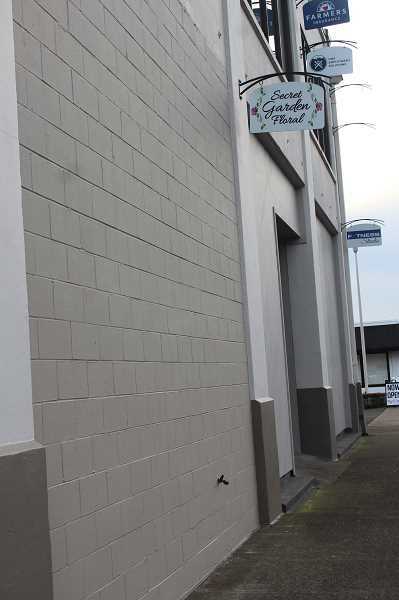 Canby's Secret Garden Floral has closed its storefront following accusations that owner Amanda Aliff failed to pay delivery drivers. 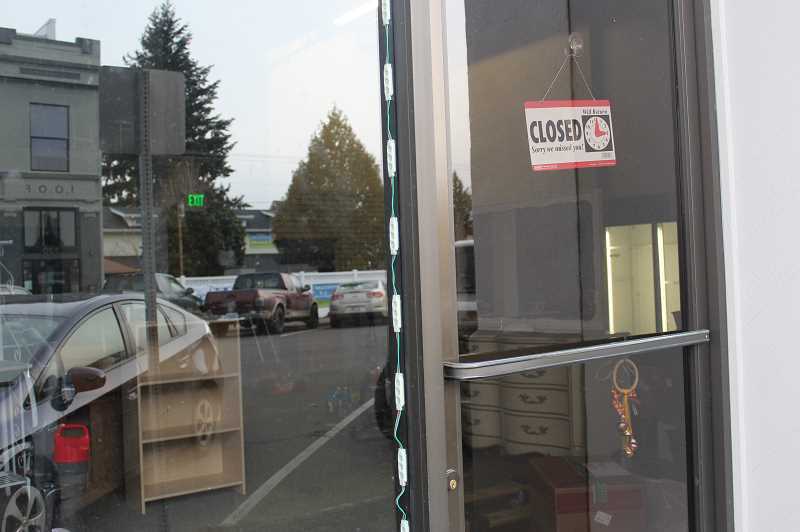 Aliff had planned to open a second location in addition to the Canby store, she said, prior to an accusation made in a Facebook group of more than 18,000 members. "But at this point, I'm just like I'll focus on my new store," Aliff said. "I don't want to focus on the Canby store. I'm done with the Canby store. I mean I had people threatening me." Aliff said she is still operating her business, which is "99.9 percent online." She said she still delivers to Canby daily, and that the negative publicity has not impacted her sales volume. The accusations were initially made in the Facebook group on Jan. 16 by Amanda Ackermann, an independent contractor who made deliveries for Aliff and Secret Garden Floral for just four days during the month of November 2018. Ackermann said her check for the latter two days of deliveries was returned unpaid, and that Aliff has not provided payment despite promising to do so. Ackermann noted she gave Aliff time to provide payment before going public. "I went to the admin, and I explained the situation," Ackermann said. "I said I waited a very long time to say anything about this, and I wanted to make sure I was correct in my assumption that she really had no intention to pay me." The post now has more than 700 comments, with several others claiming they too did not receive payment from Aliff. Aliff maintains that all accusations made on the post are false and suggested Ackermann paid others to post false information. "[Ackermann] had so many people chime in that were lying that made me look terrible," Aliff said. "So I thought: what's the point? I'm just going to delete Canby Now and move on." Two other individuals, who wished not to be named, told The Herald that they also have not received payment for deliveries. Aliff said she switched bank accounts at the end of November, and that is why some checks were returned unpaid. Ackermann filed a claim with the Bureau of Labor and Industries for the unpaid check, and hopes to take further action, but she believes there are many others who have not made claims. Ackermann is concerned about the fact that the drivers are independent contractors. "From what it sounds like, and this is what's really unfortunate about this, is that a lot of people didn't [file a claim]," Ackermann said. "A lot of people just thought that there wasn't anything they could do, or they just kind of let it go as time and money lost." Ackermann hopes to gather enough individuals to participate in a lawsuit against Aliff. On the other hand, Aliff said that she is currently suing Ackermann for "defamation of character, slander, falsifying information and paying people to do the same." Court records do not show any pending cases against Ackermann. Aliff has had financial trouble in the past, court records show, dating back to 2005. One contract case with a collection service closed in September 2018. However, Aliff suggested she makes a good yearly income as a flower shop owner, and when asked in follow-up if this situation has anything to do with financial troubles, she declined to comment, saying her lawyer has instructed her not to comment any further. Aliff's Oregon business license under the name Secret Garden Floral LLC was "administratively dissolved" in September 2018, according to Secretary of State records, meaning her business license rights were taken away by the state administrator due to failure to comply in some way, such as not providing renewal information. However, her city license is still active until August 2019, the City of Canby said. In response to questions about her business license, Aliff said she is no longer doing business under that LLC. Her name is not associated with any other Oregon business licenses, records show. Despite some drivers coming forward about not being paid, one former Secret Garden employee, who wished to be referred to only as Susan, called on Aliff's behalf. Susan worked in the shop and as a driver for one year, ending her employment in November 2018. She said she always received her pay. She noted that drivers' records must be completed correctly and turned in before they can receive pay. Susan also said that when she visited the shop after ending her employment, Aliff told Susan she wasn't sure how long she could keep the shop open. Aliff too noted businesses have it tough in downtown Canby. "I can't believe they turned their back on me like that, over nothing—absolutely nothing," Aliff said. "It's crazy. To me, it's like 'oh we're not going to support her;' you never did. You never did. I had like three customers a week." Susan called the accusations "a witch-hunt," and spoke to Aliff's character. "I don't dispute that somebody else may have had issues with her, but I know for a fact, I know Amanda, and I know for a fact she would never, ever intentionally defraud somebody or try not to pay them," Susan said. "I know she is a generous and ethical person."